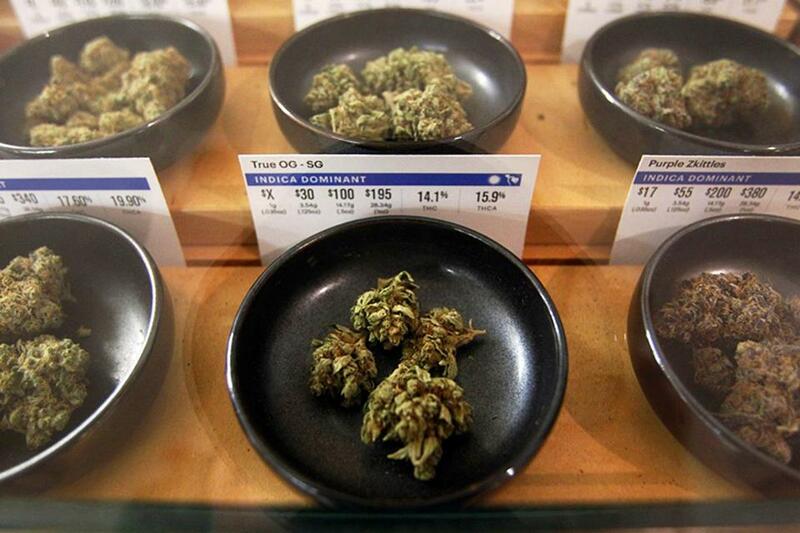 Marijuana on display at Harborside marijuana dispensary in Oakland, Calif.
PORTLAND, Maine — Maine’s Supreme Court has upheld the eviction of a man who claims his landlord was required to accommodate his use of medical marijuana in a federally subsidized apartment. The Supreme Court sidestepped the conflict between state and federal law by noting that there was cause for eviction above and beyond the fact he was growing marijuana. That included intimidating behavior, denying access to his apartment, and illegally installing a lock.